What age do you think children should start school? Last week Sir Michael Wilshaw said he felt children should be in school from the age of two. It seems our newsletter readers have a different view. When asked whether moving children to school at the age of two would restrict natural development of personal and social skills, an overwhelming 98.4% said they believed it would. Nearly half of you feel that five is the best time to start school, while over a third thought six. 16.7% said seven was the best age and only 3.3% picked four. So, the feeling is that two is much too young and could hinder the development that will make them grow up to be well-rounded human beings. Do you think starting school at an earlier age would have been beneficial for your education? I am appalled by Sir Michael Wilshaw’s remarks. he shows no understanding whatsoever of how children develop, or how child ‘education’ is delivered at ground level. What he needs to be concentrating on, to ensure that very young children from less advantageous backgrounds have a good start in life, is the education of parents and those who will become parents in how to talk to and play with their offspring. I am a retired nursery teacher, trained after working at the pre-schools attended by my chidren. At my first nursery post the children were 4 and a half years old, and as I stayed in that job I saw the age of entry reduce to 3yrs. I had to battle with Headteachers who did not understand pre- school education and tried to fit these children into the school model. Over 15 yrs I saw the capabilities of these young children reduce considerably, particularly their language and social skills. Eventually there was a children’s centre on the school site and because I worked part time I was able to train as a support worker for families of children from 0 to 3yrs, which I did as well as teaching.. The organisation I worked with was PAFT – Parents as First Teachers – and I went into the homes of families referred by the Children’s Centre and showed parents how their young child was learning and what they could do to help. Sadly this was not well supported by the powers that be, then the Children’s Centre was reduced to half its former strength, so I had to stop. I would like to say to Mr Wilshaw that there are many different ways to help children and young families, but putting a 2yr old into a school setting is irresponsible. Sir Michael Wilshaw needs to explain more fully about the research that has led him to his belief that children should start at School at aged 2. However, what is also very worrying is for the childcare sector as a whole in terms of sustainability. My thinking is that the Government will think it is cheaper to place children in schools long term than pay out to help parents with childcare fees as once the extra capacity buildings are build and they only have to employ 1 teacher per class and maybe an assistant, then that has got to be cheaper for them. But what does this mean for us as childcare providers. We employee thousands of staff, pay thousands in PAYE and tax. Will this mean that many settings will have to close. I know from experience that Academy schools are building extra classrooms to take on more children, which has affected my intake of Pre-School children at one of my settings. Who is going to help us, the settings have a voice in all this. Children should be allowed to grow naturally ,they do not need constant restrictions and holding back by starting school at two . When will we let our children be babies and children instead of pushing them into this culture of the earlier you start the better. 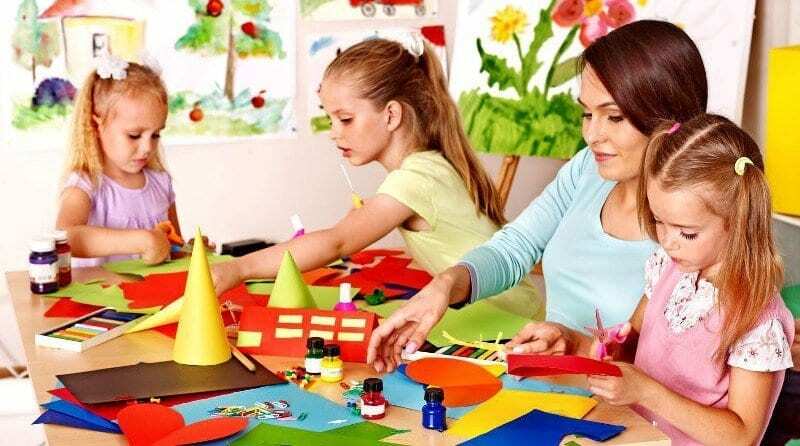 We all know that children learn during play and with natural surroundings such as thier own home and when they are ready small pre-schools where they can get the care and stimulation individually and in small groups from adults who are experienced in this particular age groups development skills. Starting school any earlier would have made no difference to my education in the slightest. I came out of school with good results despite the school I went to and the constant teacher strikes that happened during my time at school. 2 of my sons have left school now and started at 4 and both came out with good results the same as I did. The only difference now is that their is more opportunity for them to access university than there was when I left. Nurseries are very important in assisting children to be ready for school and because ŵe have less children in our ratios than at school it allows us to pick up any additional needs the children may have before school. My nursery tries to ensure that children who will need statementing before they go to school have that in place before they attend full time school as from personal experience it took my sons school to long in my opinion to realise he had needs and 5 years of me fighting to get a statement. I now own a nursery and try to ensure that this is not something that carries on for other parents. We do a very important job for not a lot of recognition from the government, local authority and now it appears OFSTED as well. children need to be children to be able to play in an environment that is nurturing and they should not be just another child in a very large ratio of children at school deprived of the type of environment home, nursery or childminders provide. In our particular area over 90% of nursery care is rated as good or outstanding on the flip side our primary schools only 10% are rated as good. Our children are being let down at a primary level to often so what good is there of sending our children to school at a younger age to schools that requires improvement? I am one of the lucky ones – an Autumn born child and therefore nearly five, when I started school. I have 12 O levels, 3 A Levels, a degree and a PGCE in English at Secondary level – so did it do me any harm starting later? Maybe I would have been a professor if I had started at just 4 or even 2 years as the government are suggesting!. So it starts to get silly doesn’t it? If you can give birth between September and Christmas, that’s the ideal; so it seems. 6 years would be a better time to start school and make the most of the Early Years – such a vital time for everything except formal education. Many Summer born children are ‘running’ to keep up with their peers. As a Childminder, I was saddened, when an August born four year old I had cared for, was deemed ‘behind’ barely 6 months after starting school and she was ‘fine’ when she left me -a VERY imaginative girl. If she became an author, I would not be a bit surprised. Obviously not what the school were looking for! But then, who am I to say – I am only a Childminder!